So this is the type of chicken that you make and it actually surprises you how amazing it taste because all the ingredients are so different and some how they all end up blending together like magic. I am obsessed with this recipe because it was literally the craziest burst of flavor ever! 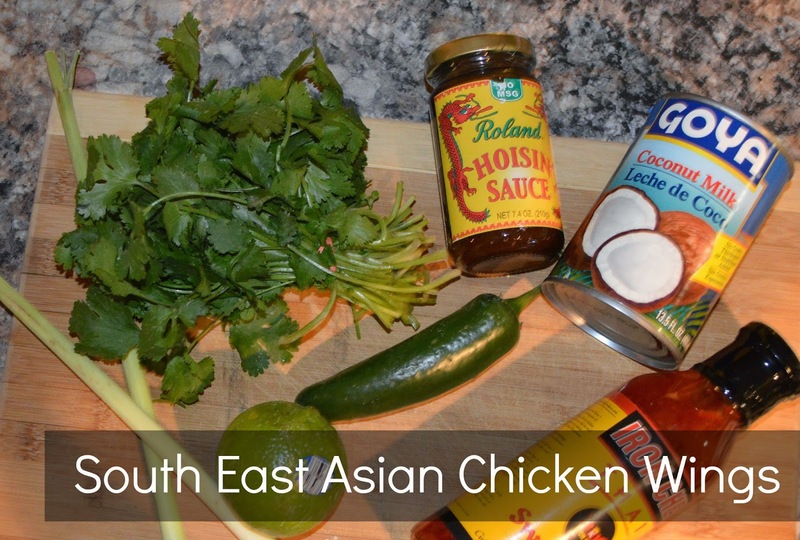 If you loved the honey curry chicken recipe I posted not too long ago then I think you will LOVE this spicy yet sweet South East Asian chicken recipe. It truly is delicious and surprisingly not super difficult to make. So let’s get started! Wash and clean chicken then pat wings dry with paper towels. Arrange the wings in a large, shallow dish. 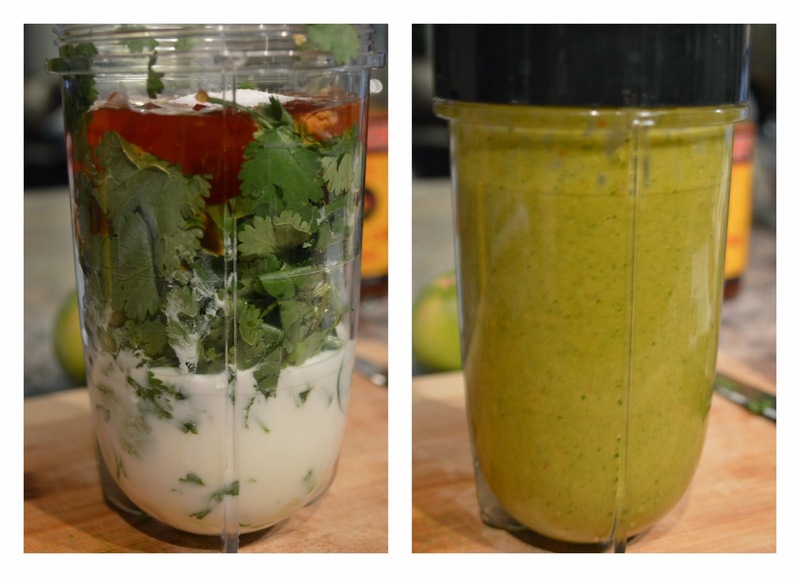 In a magic bullet, purée the coconut milk, lemongrass, garlic, scallion whites, jalapenos, cilantro, hoisin sauce, ginger, lime juice, and sugar until smooth. Marinade will look like a green smoothie almost. Pour the marinade over the wings, turning to coat evenly. Cover with plastic wrap and refrigerate for 2 to 4 hours. Heat oven (350°F). Shake off any excess marinade from the wings and lock wing tip for even cooking. Bake the wings uncovered for about an hour and then broil at the highest temperature for an additional 2 minutes for an extra crispy skin. Transfer the wings to a platter and serve. Preheat the oven to 375 degrees. Bring 4 quarts of water to a boil in a large Dutch oven; stir in olive oil, 1 1/2 tbsp salt and pasta; cook according to package directions. Drain well. Bring cream to a simmer in a medium saucepan over medium heat. Do not boil. Stir in cheddar; stir in smoked Gouda. Add rosemary; cook, whisking often, over medium-low heat 2 to 3 minutes or until melted and smooth. Remove from heat; whisk in pepper and 1 tbsp salt. Stir in pasta. Pour mixture into a lightly greased 3-qt baking dish. Bake for 30 to 35 minutes or until golden brown and bubbly. Remove from oven; let stand 10 minutes before serving. Hope you’ll try the recipe! Let me know what you think below!